A trip to Tokyo – not New Orleans – is the best place to discover the biggest jazz scene in the world. With 86 jazz clubs in total, Tokyo is the jazz capital of the world. Having booked jazz tickets online – I think? – I am winding my way through pretty lantern-lit streets on my way to the venue. The lantern-lit Akasaka district in Tokyo. Akasaka (translation: Red Slope) is a residential and commercial district of Tokyo and home to numerous bespoke record companies and the Tokyo Broadcasting System (TBS). It’s groovy, inexpensive and bohemian (or as bohemian as a city like Tokyo can be). One way to discover the soul of a city is through its entertainment. But Tokyo is daunting and finding the entertainment is challenging. Wandering aimlessly, dodging silent cyclists on electric bikes, I pause at a noodle bar for a beer. Here I meet Noboru, a driver at TBS who takes it upon himself to chaperone me to the club. This is typical of Tokyoites: they go out of their way to help you enjoy their fine city. B flat is a basement-style affair with tables and bench-bar seating. It reminds me of the old Soup Plus on George Street in Sydney, where I used to play in the pre-pokies days. Like the old ‘Soup’, the audience is small enough to interact with the band but has the same pillar issues obscuring the view from certain seats. 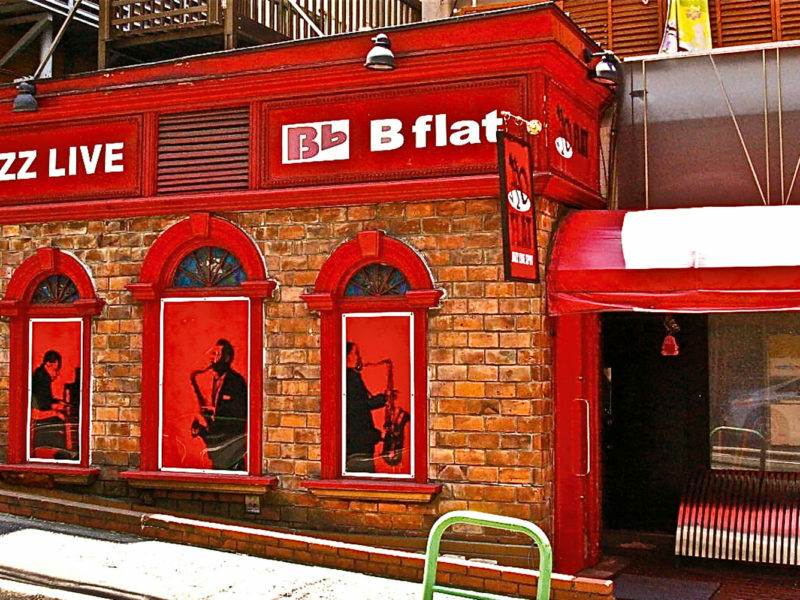 What I like about B flat is that unlike bigger corporate jazz clubs in Tokyo, such as the Blue Note, you’re not ejected after one set but invited to make a night of it. Elegantly smoking a cigarette at the door is the elderly owner, Suzuki-san. He leads me to a table, kowtowing over his bow-tie. Indeed, the entire club is blue with cigarette smoke. This again reminds me of jazz clubs in the ’80s. The club is full. On the wall behind the stage I spy signatures of international musicians who’ve signed various bricks in the wall. Tonight I hear the fabulous Torii Keiko. Her outfit comprises a 22-piece big band playing slick arrangements of standards such as I’ve Got The World On A String, Stardust and a smokin’ version of Charlie Parker’s Confirmation. The band swings like a clock. You could be forgiven for thinking you are in New Orleans if it was not for Keiko with her eccentric kabuki flourishes and flawed English. Her version of The Rady Is A Trampo draws a drowsy smile. Unlike Western performers who introduce their songs in a handful of slurred monosyllables, the Japanese prefer long introductions. Indeed, some of these monologues are longer than the songs themselves. Keiko’s preamble has the audience laughing and puffing on their cigarettes in appreciation. At concert’s end, she is presented with a bouquet of gladioli, something I’ve not before seen at a jazz gig. As I accompany Noboru to his train in the drizzle, threading our way through phalanxes of tipsy company men, collars wantonly unbuttoned at the neck, I buy him a small gift to thank him for his friendship and leave with a new perspective on the Tokyo jazz scene. 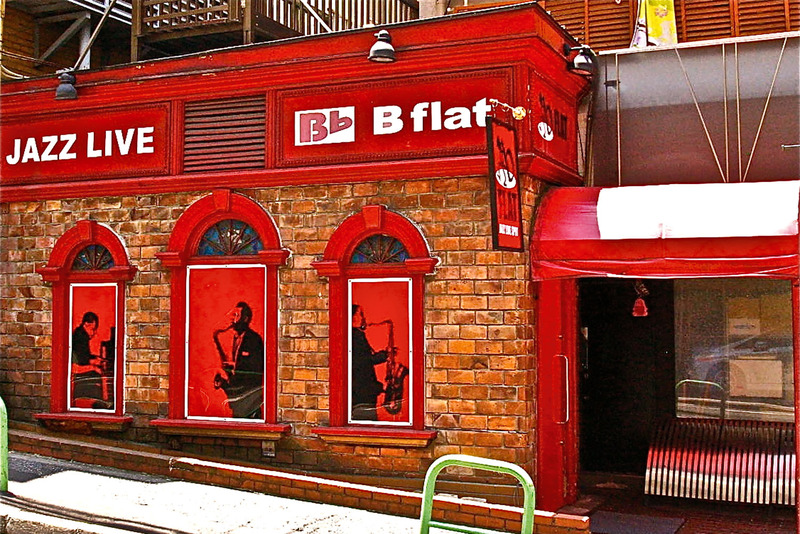 Finding the B flat club can be a challenge as it is not on the main road, but in an area of Akasaka that empties at night. Print out a map from the website; it’s close to the subway station. The website has a gig listing for the month and you can book your seat online using the email address supplied. You don’t need a credit card as you pay at the door, depending on the particular cover charge for the artist. The Monterey Hotel is a smart hotel flanking Tokyo’s flagship Aston Martin dealership. My room was only $125 a night (including breakfast) and beautifully appointed with a deep bath, plasma telly and large bed. While here wander around the Toyokawa Inari Temple complex and enjoy a green tea in the sunshine, filtered by twitching maple leaves, as office workers recite silent prayers on their lunch break.